An Adult Guide to the Orchestra is now available for purchase at the Schermerhorn Symphony Store. 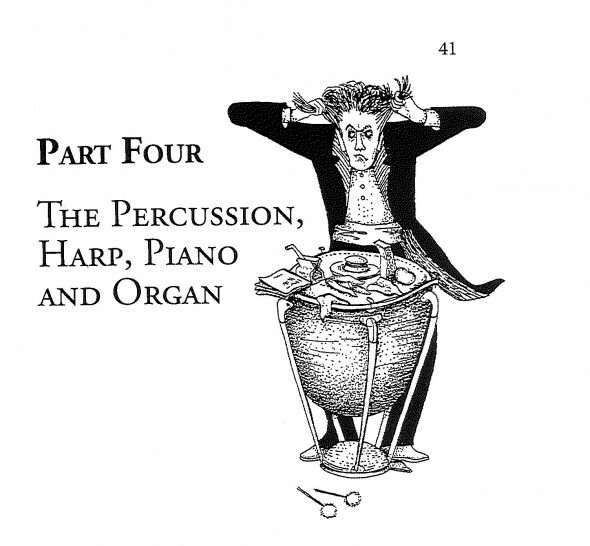 Written by Sheldon Kurland, this irreverent book provides a humorous window into the world of classical music by looking at symphony orchestras and the musicians behind the scenes. Kurland was a classically trained musician who graduated from Juilliard before teaching at Cornell University and Peabody College at Vanderbilt University. His move to Nashville in 1964 brought much change to the already evolving music scene when he began doing session and television work with some of country’s greatest stars, including Johnny Cash, Dolly Parton, George Jones, Bob Dylan, Neil Young, among countless others. Kurland also became known for his influence in bringing the lush string song to Country Music in Nashville, known as “the Nashville Sound,” with his band, the Shelly Kurland Strings. By better organizing local string players into a collective to perform live and on recordings, Kurland and others significantly improved the quality of country music itself. His contributions landed him numerous “Super Picker Awards,” given each year to the musician who played on the most number one albums. Published by daughter Amy Kurland, creator of the Bluebird Café and son Peter Kurland, co-owner of Darkhorse Theater and three-time Oscar nominee for Achievement in Sound Mixing, this quintessentially Nashville book can be found at the Symphony Store in the Schermerhorn Symphony Center in Nashville, TN, and at www.amazon.com. The Schermerhorn Symphony Center is located at 1 Symphony Place, Nashville, 37201. For additional information, call (615) 687-6400.